Tandem MS lipidomic data facilitates not only the identification of glycerophospho/ glycero-lipids based on their head groups but also the differentiation between saturated, moderately unsaturated (18:1 or 18:2) and highly unsaturated (20:4 or 22:6) acyl residues [1-2]. However, interpretation of MS/MS lipidomic data requires efficient software workflows. We present software workflows to facilitate identification of the fatty acyl composition in glycerolipid, diacyl-, monacyl- glycerophospholipids. Meitei, N.S., Pujari, R., Gupta, H., Hufnagel, U.S., Goetz, S., Meyer, S.W., Barsch, A. Liquid chromatography—Mass spectrometry (LC-MS) provides one of the most popular platforms for lipidomics analysis. Recently, MS-based plant lipidomics research has been gaining popularity . We developed LC-MS lipidomics method using Orbitrap Velos Pro Hybrid MS instrument to identify the lipid classes and lipid molecular species in grape samples. A challenge associated with this method was the analysis of large LC-MS data set. Besides the chemical complexity and large range of concentrations of thousands of lipid species that are present in the samples, there are co-eluting lipid species, especially from a class, in the LC domain and MS2 spectra contain product ions of multiple lipid species. SimLipid has been re-developed in order to streamline such large scale data analysis generated by the method. Shulaev, V., Chitarrini, G., Gupta, H., Pujari, R., Vrhovsek, U., Mattivi, F., Meitei, N.S. There has been rapid advancement in the field of analytical technology, particularly mass spectrometry that fuels the lipidomics research . One of such MS based techniques was the sequential precursor ion fragmentation, MSMSALL, that delivers both qualitative and quantitative information for hundreds of lipid species in a short period of time without compromising data quality[2-3]. We present a comprehensive lipidomics workflow using automated large volume loop injection (FIA) coupled to a TripleTOF® 5600+ mass spectrometer (SCIEX, Concord, ON) with SimLipid software. The lipid species in the sample were identified using data from MSMSALL experiment and subsequently quantified using data generated by TOF-MS experiments. SimLipid software has been re-developed to streamline the data analysis from this workflow. Meitei, N.S., Gupta, H., Pujari, R., Apte, A., Yin, H., Capka, V., Rowlands, D., Patel, S., Daya, S., Choy, K.
The rapid advancement in mass spectrometry (MS) and chromatography technologies have led to the development of new lipidomics workflows. MS technology facilitates the differentiation between saturated, moderately unsaturated (18:1 or 18:2) and highly unsaturated (20:4 or 22:6) acyl residues [2-3]. However, interpretation of MS/MS lipidomic data is complex because each lipid class has its own fragmentation patterns as well as ionization efficiency . Hence, different platforms render significantly different lipid profiles . A challenge faced by researchers is the lack of software tools to exploit the technology. We have developed new modules of SimLipid software for global lipid profiling using tandem mass spectrometry data, and also facilitating further identification of the fatty acyl composition in glycerolipid, diacyl-, monoacyl- glycerophospholipids. Meitei, N.S., Pujari, R., Gupta, H., Apte, A., Hufnagel, U. S., Goetz, S., Meyer, S.W., Barsch, A. Automated identifications of various lipid species are critical for untargeted or "macrolipidomic" profiling. Software can match analytical data to extensive libraries of spectra, but different instruments employing different technologies and different acquisitions modes can influence the ability to match spectra with library references. For this exercise, whole blood was examined due to its complex lipid profile and potential use of this matrix for biomarker discovery through dried blood spots. Henao J.J.A., Meitei N.S., Chalil D., Smith R.W., & Stark K.D. A major challenge in macrolipidomics is the ability to accurately identify the hundreds to thousands of individual lipids in biological samples. Automatic identification software has the ability to characterize various lipid species rapidly, but sample preparation, chromatographic separation and instruments settings can affect the number and quality of identifications. Ralph L.T., Henao J.J.A., Chalil D., Meitei N.S., Smith R.W., & Stark K.D. Lipidomics is a relatively recent omics field of research which includes complex lipidome analysis. It is an emerging field in biomedical research as lipids play an important role in cell, tissue and organ physiology and have potential as biomarkers of disease or treatment success. Shotgun lipidomics1 involves identification and quantification of lipids by direct infusion of complex lipid samples into the mass spectrometer without any chromatographic separation. In 2017 prostate cancer is the most commonly diagnosed cancer in Australia among males. It is estimated that the risk of a male being diagnosed with prostate cancer by his 85th birthday will be 1 in 7. Gupta, R., Sadowski, M., Meitei, N.S., Blanksby, S.J. Lipidomics has become a rapidly increasing area of research over recent years with a focus on its use and application for disease processes including metabolic syndrome disorders, cancer and cardiovascular disease for example. Obesity, a metabolic disorder risk factor, is known to initiate inflammation, which in turn can lead to type 2 diabetes. The exact mechanism as to how this occurs is not understood. In the method, a low-resolution quadrupole mass filter is scanned repetitively and both precursor and MS/MS data acquired at spectral rates approaching 2000 spectra/s. The method produces a high duty-cycle, highly specific and unbiased two-dimensional data that can be viewed and processed using readily available informatics. Gethings, L.A., Meitei, N.S., Vissers, J.P.C., Heywood, D., Castro-Perez, J., Langridge, J.I. The lipidome covers a range of lipids from non-polar to polar. Profiling experiments often need two or more chromatography separation schemes to cove the range of polarities: a Normal phase method and a reverse phase method. Quantitation of the annotated lipids requires additional investigation using a more targeted approach. Mohsin, S.B., Williams, K., Renu, D., Meitei, N.S., Kalakoti, S., Madden, S., Kitagawa, N.
The field of lipidomics is fueled by analytical technology advances, particularly mass spectrometry and chromatography. The challenges with mass spectrometry based lipidomics lie in the complexity associated with identification of lipids that requires sophisticated software since automated interpretation of lipid MS/MS spectra is more challenging when compared to other biopolymers such as DNA, carbohydrates or peptides, since lipids show much less standardized fragment mass spectra. Each lipid class has its own fragmentation patterns as well as ionization efficiency. Meitei, N.S., Gupta, H., Apte, A., Barsch, A., Alving, A., Henao, J.J.A., Stark, K.D. Liquid chromatography—Mass spectrometry (LC-MS) provides one of the most popular platforms for lipidomic analysis. Comparative studies of the complex lipid mixtures found in cells and tissues could potentially reveal lipid biomarkers. We have developed a lipidomics analysis method – LC coupled with high resolution Orbitrap Velos Pro MS instrument methods; lipid identification using database search of MS/MS data from both the positive, and negative modes; and multivariate statistical analysis – to identify the significant lipid species that are responsible for classifying multiple biological groups of malaria samples. Meitei, N.S., Arun Apte, Rahlouni, F., Sullivan, D.J., Shulaev, V.
A combination of different approaches namely ‘Shotgun lipidomics’, LC-MS, and MALDI-TOF is often necessary to detect the whole lipidome of an organism. Each lipid class has its own fragmentation patterns as well as ionization efficiency , thereby making the interpretation of MS/MS lipid spectra a challenging task. Meitei, N.S., Gupta, H., Apte, A.
LC-MS techniques using electrospray ionization (ESI) and reversed phase chromatography have successfully been used to profile complex lipid samples. Normal phase (NP) LC-MS separates phospholipids into their respective classes based on their respective polar head groups and with little influence from their sn-1 and sn-2 fatty acid substituents. Meitei, N.S., Biswas, A., Apte, A., Madden, S., Sartain, M.
MALDI mass spectrometry has been used for detecting phosphatidylcholines by direct tissue analysis (1-4). Recently, triacylglycerols and phosphatidylcholine in complex mixtures have been identified using MALDI MS/MS (5,6) wherein charge remote fragmentation (CRF) as well as other A-, B-, C-, G and J- ions are the determinants as described recently (7,8,9). Meitei, N.S., Apte, A., Waidelich, D., Abdi, F., Glueckmann, M.
Meitei, N.S., Apte, A., Park, J., Waidelich, D., Abdi, F., Glueckmann, M.
The separation of glycans by chromatography prior to MS analysis can reduce sample complexity, minimize ion suppression, and increase dynamic range and separation of structural isomers. Isaac, G., Vorkas, P.A., Want, E.J., McDonald, S., Naslund, U., Holmgren, A., Henein, M.Y., Millar, A., Holmes, E., Shockcor, J.P., Nicholson, J., Langridge, J. Improvements in analytical methods, especially liquid chromatography and mass spectrometry, have driven the recent advances in the development of lipid profiling methods. 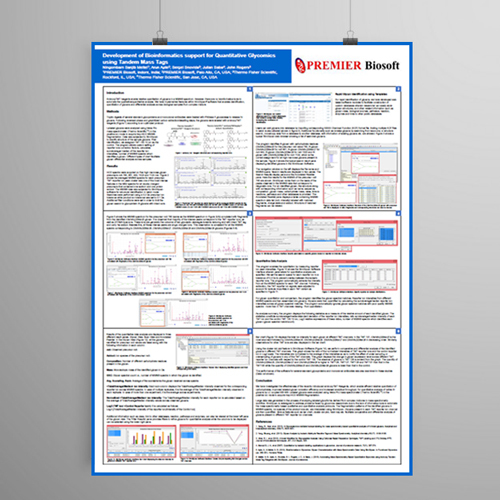 We have presented a robust workflow for the global lipid profiling of a plasma sample using an LC system coupled to an Impact II™ Ultra-High Resolution Qq-Time-Of-Flight (UHR-QqTOF) mass spectrometer (Bruker Daltonik, Bremen, Germany) with > 50,000 Full-Sensitivity Resolution and SimLipid® informatics software (PREMIER Biosoft, USA). Phospholipids (PLs) have a role of constituting a cellular membrane in a living cell and are also related to produce various fatty acids such as arachidonic acids, EPA and DHA which are precursors of bioactive lipids. Fluctuation of PLs concentration in a blood or a tissue is also known to be correlated with various disease. Lipids constitute one of the largest classes of macromolecules, together with nucleic acids, proteins, and carbohydrates. Lipids play key biological roles in all organisms and therefore their analysis is of major interest in nutritional, pharmaceutical, and biological research.